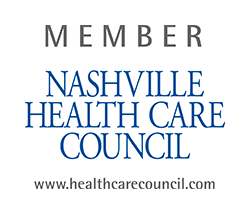 NASHVILLE, Tenn. (April 20, 2016) – Cumberland Consulting Group, a healthcare advisory, process improvement, information technology implementation and support services firm, announces the launch of legacy system data management services powered by Trinisys, a healthcare data automation and integration solutions platform. This new offering combines trusted advisory consulting services with an innovative data-archiving platform to help healthcare organizations successfully manage enterprise healthcare information technology (HIT) conversion projects. Cumberland’s legacy system data management solutions will help providers decrease their total cost of ownership by eliminating infrastructure support and maintenance costs for retired systems and increase productivity through seamless access to legacy data. In addition, providers will reduce their risks of compromised data through secure storage on the Trinisys Convergence platform. As a part of its legacy system data management service offering, Cumberland will assess providers’ IT environments and create customized road maps that can be incorporated into system migration projects. The firm will advise clients on answering important questions, such as which legacy systems should be kept operational and which should be decommissioned, what data needs to be retained, and how users will need to access the data. Founded in 2004, Cumberland Consulting Group is a strategic business advisory, process improvement, information technology implementation and support services firm serving the payer, provider and life sciences healthcare verticals. Cumberland’s objectives are to help its clients advance the quality of services they deliver and to improve their overall business performance. For more information on Cumberland, visit www.cumberlandcg.com or follow Cumberland on Twitter at@CumberlandCG.